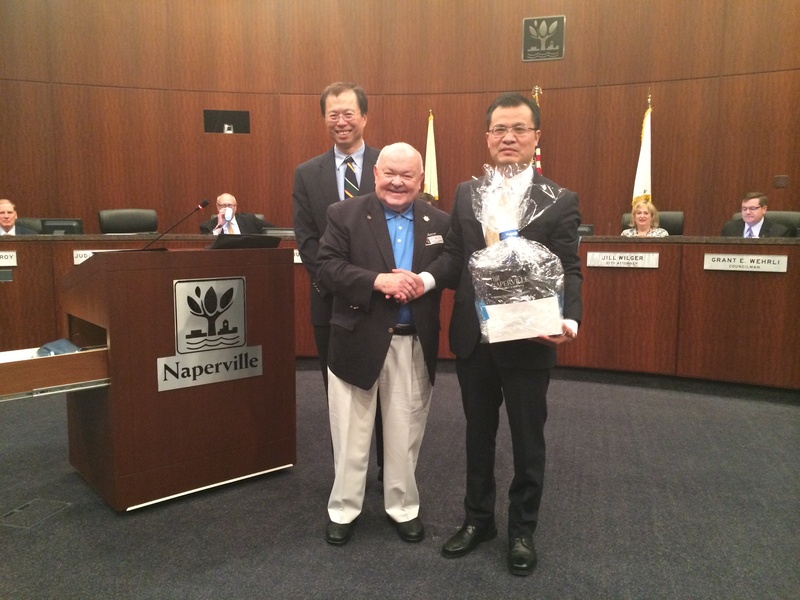 On May 6, Chinese Consul General to Chicago Zhao Weiping paid an official visit to Naperville, Illinois at the invitation of Mayor Pradel. During his visit, Consul General Zhao accepted the certificate of Honorary Citizen from Mayor Pradel at City Council, delivered a speech at the business luncheon jointly held by Sikich LLP and Naperville China Committee, and visited Xilin Asian Community Center, Navistar, BMO Harris Bank and Calamos Investment. 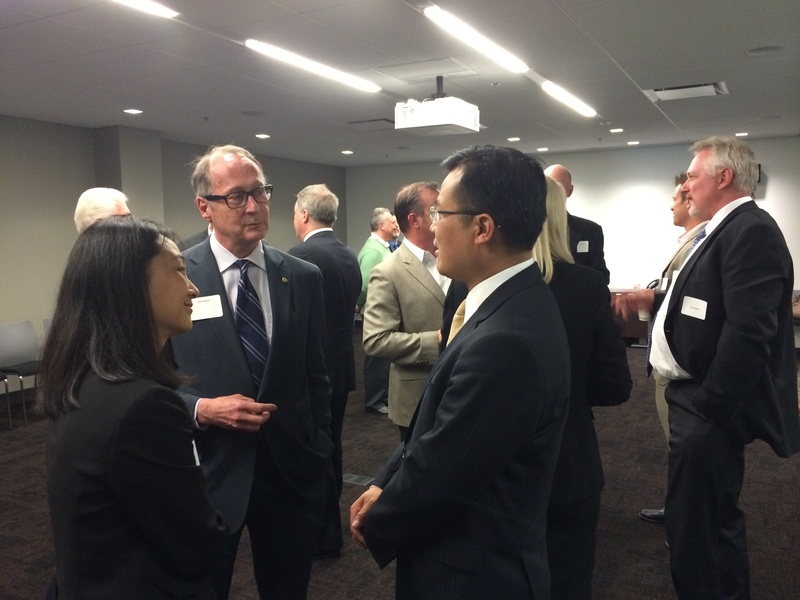 In his speech and comments, Consul General Zhao briefed the audience on China’s economic development and China-U.S. economic and trade relations. He pointed out that currently China’s economy is sound and stable in general. The Chinese government is committed to further reform and opening-up and is fully confident in the prospects of China’s economic development. China-U.S. economic and trade cooperation has great potential to be tapped and is faced with great opportunities of development. Consul General Zhao expressed his appreciation to the City of Naperville for attaching importance to its relations with China and pledged the willingness of the Chinese Consulate General to continuously play a positive role in promoting friendship and cooperation between China and Naperville. 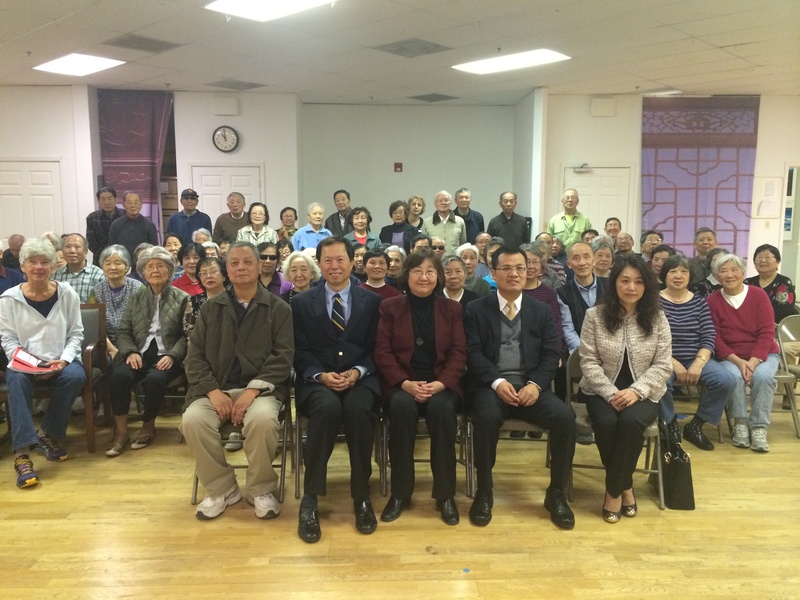 Commercial Consul Shu Luomei also attended the above-mentioned events.